Like others before him, Daniel Trask fell in love with Northern Ontario's Temagami wilderness. And last fall, he vanished into it, leaving behind little more than a mystery. At first, Jeff Geiler didn’t think much about finding a gold Chevy Impala in the parking lot at Camp Wanapitei, the Northern Ontario youth summer camp on Lake Temagami where he works as a year-round caretaker. It was early November—a little late in the year for visitors—but Geiler immediately recognized the car as belonging to Daniel Trask. Over the previous seven months, Trask, a 28-year-old from Waterloo, Ontario, had become a regular presence in the area, often setting up his tent nearby and dropping in at Geiler’s log cabin to shoot the breeze and poach some time on the Internet. Geiler walked to one of Trask’s usual campsites, expecting to find his friend. There was no sign of him. “I just assumed that he was out and about,” says Geiler. When Trask still had not appeared after several days, Geiler decided to mention the parked vehicle to the Ontario Provincial Police. It was November 13. Several days earlier, Don and Maureen, Trask’s parents, had called to report their son as missing. Sometime before sunrise on the morning of November 3, they told police, Trask had left the family home unannounced, packing his baggy, lime-green snowpants, a blue Columbia Sportswear jacket and, as far as they could tell, not much else. An investigation in Waterloo turned up no leads on the young man’s whereabouts. Don and Maureen were relieved to hear that their son’s sedan had turned up at Camp Wanapitei, and assumed that he had ventured back to his favourite place one last time before winter. A grocery clerk in the town of Temagami confirmed that Trask had purchased some fresh produce and said he’d be out in the bush for a month. That didn’t worry Don and Maureen; they knew their son was resourceful and competent in the backcountry, had local connections and was aware of the many unlocked trapper cabins and fishing camps peppering the region. Their sense of reassurance evaporated when Don ventured north the day after Geiler reported the car. Already, the grounds of the boarded-up summer camp were swarming with police officers and their German shepherd dogs in full-blown search mode. “I saw the police and I thought, ‘I don’t like this, this doesn’t feel good,’” Don says. It was the beginning of a weeks-long ground and aerial effort by search-and-rescue professionals that revealed not a trace of the vanished young man. Trask remained missing through the winter, and in the spring of this year, Don and Maureen launched their own desperate search mission. It was only then that they understood the sheer scale of the 15,000 square kilometres of unforgiving wilderness that their son had wandered into nearly empty-handed and utterly alone. Almost a year earlier, on the first day of summer in 2011, Dmitri Poukhlov awoke to the sound of footsteps on his deck in the Temagami wilderness. He rubbed the sleep from his eyes, glanced out the window and saw the silhouette of a stocky, broad-shouldered man skulking into the forest. At his door, Poukhlov found a watermelon and a freshly filleted fish. In fact, however, his choice of Temagami was far from random. As a boy and teenager, Trask had spent a couple of weeks each year at a cottage the family rented on the region’s namesake lake, and it was there, say Don and Maureen, that their son developed his love of the outdoors and was first exposed to First Nations culture, attending powwows at the Ojibwa reserve on Bear Island. Trask revisited the area in the summers of 2009 and 2010, when his parents again rented a cottage on Lake Temagami. But when he returned to the region on his own a year later, he obviously planned to steer clear of the cottage-country experience. He piled three backpacks’ worth of camping kit into his car, strapped his father’s red Old Town canoe to the roof, and drove the six hours to northeastern Ontario. His food supplies were spartan, including carrots, potatoes and onions, some peanuts and noodles; he trusted his fishing rod and a dog-eared book on wild edibles to keep himself nourished. Trask had been a first-rate Scout as a youngster, was a skilled angler and knew his way around a canoe. Still, he was inexperienced enough that he packed a jerry can of gas, apparently to help in starting campfires. This would be his first stab at canoe tripping, the quintessential activity on Lake Temagami, which serves as a multi-lobed gateway to thousands of kilometres of paddling routes. Don and Maureen say their son was a changed man when he returned from Temagami that summer: more reserved and inward, more sceptical about modern society and life. “The north changed him, and not in a bad way. He was gentler, he was kinder,” says Don. Trask told his father that his city life was a “waste of time,” and that he couldn’t wait to get back to where he felt he belonged. After restocking his bank account with a month’s work as a roofer, he returned north in September for another three weeks of canoeing. I was fascinated by the case of Daniel Trask from the moment Maureen posted an alert about his disappearance on a regional outdoors web forum last November. An idealistic young man who vanishes in the wilderness—echoes of Into the Wild. Like Christopher McCandless in John Krakauer’s classic book, Trask embodied the fantasy of leaving behind the nine-to-five grind to live off the land in wild nature. Yet his story was also different in important ways. I interpreted Trask’s summer in Temagami as an apprenticeship of sorts: He had taken the time to forge friendships, gain a better understanding of Temagami’s cultural history and learn the skills of wilderness survival. In many ways, he’d done the groundwork to make the region his adoptive home. My own correspondence with Maureen began in January this year, when I gathered the nerve to contact her about writing a profile of her son. She politely declined, explaining that the family wasn’t ready for a story. I followed up several times as the months passed, offering to help with the search, but she remained reluctant. In May, while Don, his oldest son Adam and a group of friends were in the middle of an exhausting three-week stint of cruising backroads, climbing rocky peaks and bushwhacking through swamps and forests from their search headquarters at Camp Wanapitei, I received a surprising email. “I was wondering if you were still on for Maple Mountain long weekend canoe/search and if you could lead it,” wrote Maureen. That was all I needed to start gearing up for a seven-day trip. Maureen wasn’t naïve enough to see the Maple Mountain expedition as anything more than a body-recovery mission, but after six months on an emotional rollercoaster she needed closure and confirmation that her own impressions of her son were correct—that Trask hadn’t ditched his car and hitchhiked to Mexico, been kidnapped or worse. Maple Mountain seemed like an improbable destination for someone trekking overland with minimal food and gear—the peak is about 40 kilometres as the crow flies from Trask’s abandoned car—but Maureen knew her son had made a special effort to reach the summit in the summer, and believed such an ambitious journey fit with his character. She also had some clues to go on. Poukhlov had gone to Belarus for the winter on October 25, but when he returned to Temagami in late March, he noticed he was missing about a week’s worth of firewood and a few knives. Perhaps Trask had gathered his wits at his friend’s place, then launched a survivalist epic. Simon Donato, a Calgary-based adventure athlete who has revolutionized search and rescue over the past decade, agreed that Maureen could be on the right track. Donato cuts against the grain of, as he puts it, “typical search and rescue where everyone holds hands and walks through the forest.” He’s convinced that cases involving adept backcountry travellers like Trask require a different approach than the usual grid-search methodology that focuses on a missing person’s last known position. Donato applied his unique, go-far-fast-and-light technique to help resolve two cold cases involving downed aircraft in the American Southwest. His best-known success came in March 2012, when he was part of a maverick team of long-distance runners who discovered the body of ultrarunning legend Micah True, the protagonist of Christopher McDougall’s bestseller Born to Run, in New Mexico’s Gila National Forest. During the True search, Donato spent a day walking police-established grid lines. “We thought, ‘What the hell are we doing out here? There’s no way he’d be running this stuff,’” says Donato, a PhD geologist and director of Adventure Science, a consulting group that studies the physiological effects of extreme outdoor activities. When the rest of the searchers called it quits for the day, Donato and a few other long-distance runners dashed out to a remote and scenic area they thought would be more inspiring to a world-class adventure athlete like True. They promptly found his body. 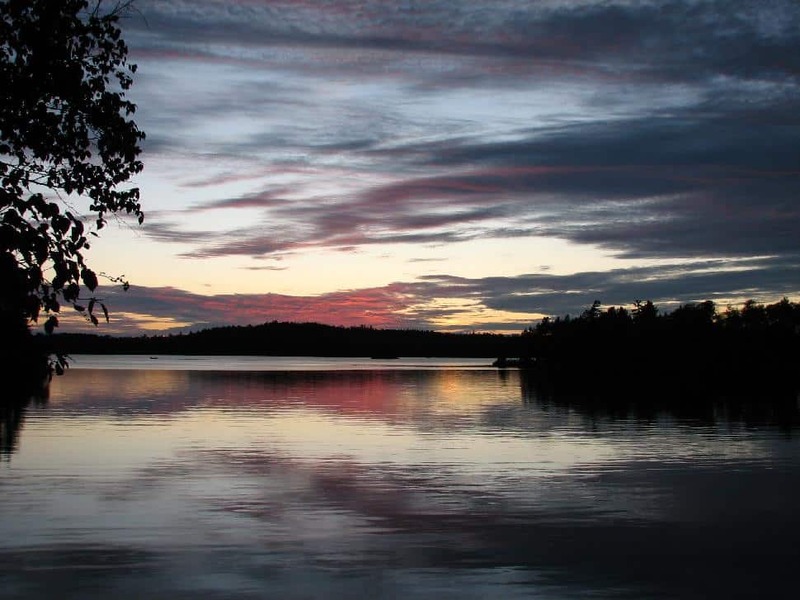 The Temagami wilderness has had a magnetic appeal for wayward souls and adventure-seekers since it was first promoted by fledgling tourist camps more than a century ago. In 1906, an enigmatic Brit named Archie Belaney immigrated to Toronto and quickly found his way north to Temagami, which was then a bustling railway town. Belaney turned his back on a charmed childhood in southern England and took up with the Ojibwa on Bear Island, learning to hunt, trap and paddle canoes. He married a local girl and was adopted into the band under the name Koh-kom-see, “Little Owl.” It wasn’t long before his promiscuous ways and weakness for alcohol forced him to flee Temagami, but later, writing under the name Grey Owl, he would describe the region in glorious detail and become one of Canada’s best-known writers and conservationists. Grey Owl’s stories played an integral role in inspiring Toronto native Hap Wilson to escape overbearing parents and venture north in the first years of the 1970s. Early on, Wilson barely survived a long, cold winter shacked up with a friend in a derelict logging camp on Diamond Lake. Desiring a sanctuary of his own, Wilson then built a squatter’s shack on a more remote lake at age 22. He scored a government job maintaining backcountry canoe routes, which eventually led him to publish Temagami Canoe Routes, a guidebook that remains a trip-planning staple today. Later he became the caretaker of the 1930s-era cabin on the Lady Evelyn River that he owns today. 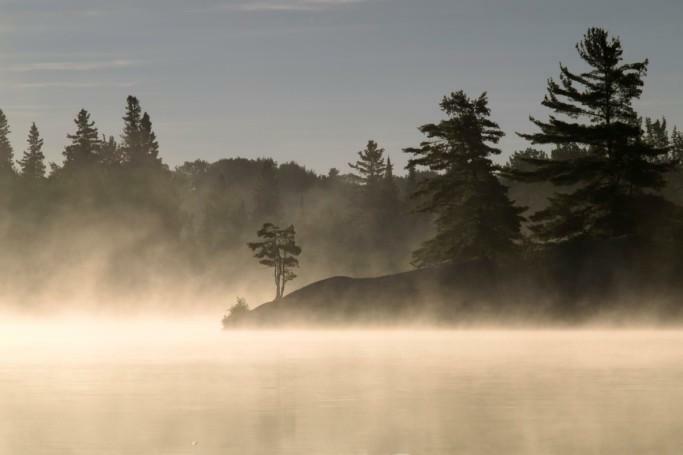 Wilson recalls that Temagami appealed to him because it was raw and untamed—utterly unlike Algonquin Provincial Park, where he had paddled with his family as a boy. “I was pretty strong and pretty determined, a lot like Daniel,” says Wilson, now 61. “I too was searching for something and I did some pretty crazy things that you can say were Daniel Trask-esque. When I look back on it, I realize that you either die or get stronger for it.” But Wilson also alludes to a dangerous paradox in Trask: For someone so captivated by the restorative powers of nature, he appears to have approached it like an adversary. Don and Maureen Trask have trusted me to assemble my own canoe party for the Maple Mountain search on the May long weekend. My wife, Kim, is an easy recruit, and I find a second boat in Adam Wicks-Arshack, John Zinser and Dan Cassell, three Americans who are volunteering on a summer-long canoeing and canoe-building project on Bear Island for First Nations youth. Wicks-Arshack, 23, and Zinser, 24, have been coming to Lake Temagami from New York City since they were boys attending American-owned Camp Wabun every summer. Today they operate Voyages of Rediscovery, an outdoor education non-profit based on Washington’s Columbia River, but continue to visit Temagami to work and explore. In 2008, they portaged into a pond off Lake Temagami, set up a base camp and built their first birchbark canoe; a year later, they constructed the hulking 24-footer they will paddle on our journey. Cassell, 29, a Chicago native and naturalist, is visiting Temagami for the first time. By our second day we’ve reached Chee-skon Lake and search Spirit Rock, a spire of flaking, bone-coloured stone rising 15 metres above a jagged jumble of ankle-twisting talus. It feels like sacrilege to walk at this site that’s been revered as a spiritual nexus by generations of Ojibwa. But after leaving a healthy offering of tobacco, we justify our trespass with Maureen’s request to comb “power places” like this one. We tiptoe on loose rocks and search for signs of Trask in caves and crevasses that still radiate chill winter air, but find no evidence of the missing man’s passing. We visit Mathias’ homestead on Obabika Lake, then continue to the Wakimika River, which luckily is devoid of blowdown and beaver dams so even the big birchbark canoe can negotiate its narrow oxbows. On Wakimika Lake, we discover Ojibwa petroglyphs of moose and spirit forms etched into the carapace of a smooth granite island; at the north end of the lake, we pass the long sand beach where the Red Squirrel Road protesters camped in 1989, and where Trask and Poukhlov stayed last September en route to Mathias’s equinox gathering. Travelling light, Kim and I have no problem with the two portages separating Wakimika and Diamond lakes. Lugging the leviathan birchbark canoe is a different story. The others ask me to help carry the 250-pound beast over the second portage, a 500-metre tap dance through refrigerator-sized rocks. Like latter-day voyageurs, we grunt, curse and manhandle the fragile vessel over seriously rugged terrain. Zinser gladly accepts nearly half of the canoe’s weight, and incredibly cranks out a set of push-ups when we stop to rest at the halfway point. Wicks-Arshack raves about how this is probably the first birchbark canoe to pass here in a century, but I’m more acutely aware that one slip could result in a broken leg and shattered boat. Thanks to luck and Zinser, a beast of burden who clearly defines himself by the level of hardship he can endure on the trail, we make it to Diamond Lake unscathed. The birchbark canoe flies across Diamond’s big water, and Kim and I struggle to keep up in our 17-foot tandem. The lake is a short portage from Lake Temagami and is part of a popular canoe route, so I assume it has been examined in previous searches. Our paddles flash and we charge absent-mindedly in pursuit of our friends toward Lady Evelyn Lake and the gateway to Maple Mountain. At last, hoping to maximize our exposure to a tailwind, I steer for the east shore of Diamond Lake’s north inlet. Later, we’ll estimate that nine out of 10 canoe parties would hug the west shore, where a slab of granite acts as a canvas for native pictographs—the blood-red, centuries-old images of people, canoes and birds are among the most vibrant in Temagami. Now, along the infrequently paddled east side, a tinge of faded green atop the sloping shore catches my eye. It looks inconspicuous, like a discarded shopping bag. But Kim is adamant that we stop for a closer look. We come about, fight the wind and sideslip ashore. Above the water and almost directly across the channel from the pictographs, I unroll an inside-out pair of lime-green snowpants. There isn’t time to ponder the discovery. Kim and I hop back in the canoe and paddle like hell, hoping to catch up with our trip partners before they complete the carry-over to Lady Evelyn Lake. Fuelled by adrenalin, we make it just in time, and the five of us turn back to set up camp just up the shore from where I found the snowpants. Then we fan into the bush not knowing what to expect. His words shatter the forest, and the gravity of the moment suddenly sinks in. Cassell will return in a moment, but Daniel Trask—a young kindred spirit who shared our love of the Temagami wilderness—isn’t coming back. Zinser blinks away tears. I crumple to the ground and Kim holds me tight. A few days later, the couple welcomed me to their split-level home in Waterloo. Insect repellent, GPS units and assorted camping gear cluttered the dining room, and maps covered the kitchen table. Don and Maureen had returned from nearly a month of searching out of Camp Wanapitei less than a week previously, and their friendly smiles and chattiness belied the harsh reality of lives on hold. Don, a retired firefighter, quickly explained that he’d be prepared to spend the entire summer camping out, if that’s what it would take to find his son’s body. We spend hours pondering what could’ve gone wrong. I describe the dozen or so cut or partially cut standing trees we found in the vicinity of Trask’s clothing. It seems likely the deadwood would have been used to build a shelter or fires. Yet subsequent ground searches by police officers and a cadaver dog within an 800-metre radius of the site revealed no evidence of lean-tos or campfires. However, they did turn up a sleeping bag, toiletries and a pair of underwear and socks. In June, divers and police in side-scanner-equipped boats searched the waters of Diamond Lake and found no sign of Trask’s body. *SPECIAL NOTE: The remains of Daniel Trask were located in May of 2015. Look to the Summer 2016 issue of explore for a special follow-up feature, "Requiem for Daniel Trask." The story of missing man, Daniel Trask.